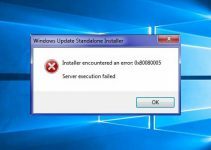 A number of Windows users has been reporting that they have been encountering “Error 0x800704cf – The network location cannot be reached” problems while they have been trying to access Network PC. This error prevents you from accessing Network PC to share files or do any other tasks. If you’re also getting this same error, you can try a few solutions to solve this issue. Step 1. 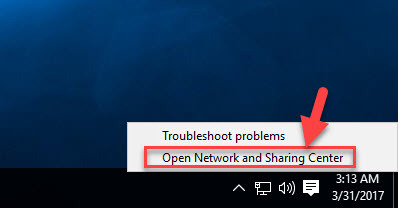 First of all, you right-click the Network icon in the taskbar notification area, then click Open Network and Sharing Center. Step 2. In the Tasks pane, you click Change adapter settings to open the Network Connections folder and view available connections. Step 3. 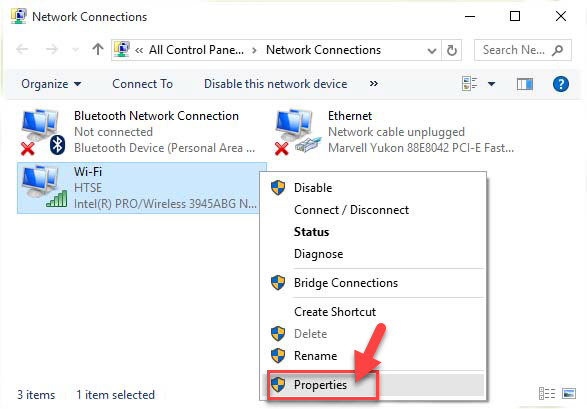 In the Network Connections window, you look for your network adapter, then right-click it and click Properties. Step 4. 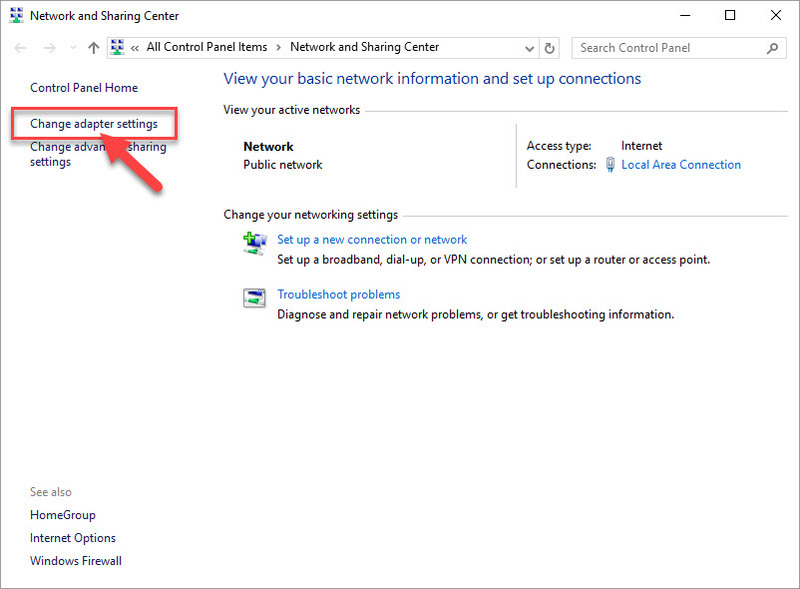 Next, in the network adapter’s property sheet, you have to uncheck Client for Microsoft Networks option. Then click OK. Step 5. Lastly, you can close Control Panel and restart your computer. After restarting, you’ll see that error 0x800704cf has been resolved already. Step 1. First of all, you start Command Prompt as Administrator. 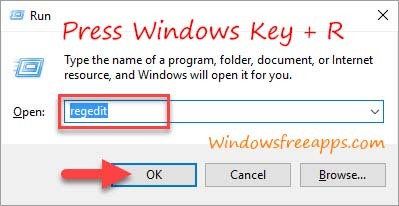 To do that press Windows Key + X to open Power User Menu then click Command Prompt (Admin) from the menu. ipconfig /flushdns : flush the DNS Resolver Cache. nbtstat –RR : refresh NetBIOS name. 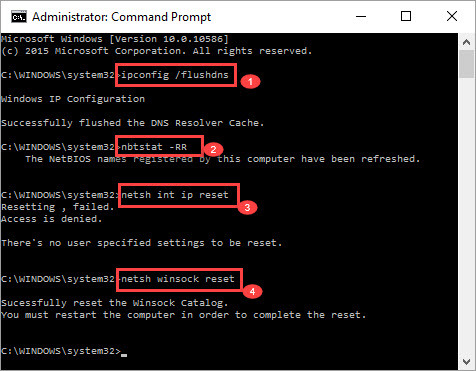 netsh int ip reset : reset IP settings. netsh winsock reset : reset Reset Winsock Catalog. After typing each command, tap Enter to execute the command. Step 3. Lastly, you must restart your computer and check if the 0x800704cf error resolved. Note: Before doing this method, you should create a System Restore point first. Because making mistakes when manipulating registry could affect your system. Step 1. First of all, you open Registry Editor by pressing Windows Key + R, type regedit in Run dialog box and tap Enter. Step 3. 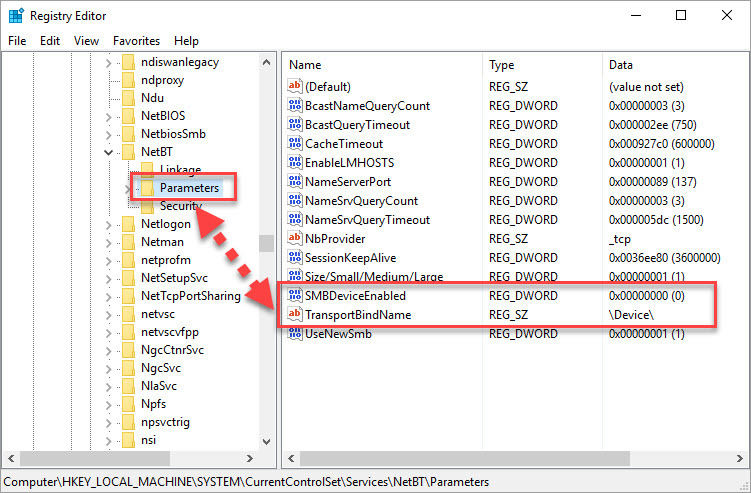 At corresponding right pane, you locate TransportBindName registry string. Make sure that Value data for TransportBindName (REG_SZ) is set to \Device\. Step 4. 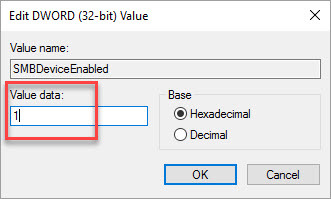 Then you look for SMBDeviceEnabled named registry DWORD (REG_DWORD) exists or not. If the DWORD exists and has a Value data of 0 assigned, you need to set this Value data to 1, it means direct hosting is enabled. Step 5. Finally, you can close Registry Editor and restart your computer and see the error 0x800704cf resolved permanently. Step 1. First of all, you go to Device Manager. To do that press Windows Key + X to open Power User Menu then click Device Manager from the menu. Step 2. 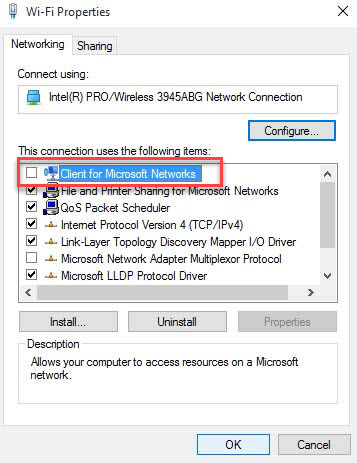 In the Device Manager, you need to look for Network Adapters. Expand Network Adapters to see all available adapters on your computer. Step 3. Next, you have to click on each of them and click Uninstall. Step 4. Then, you click Action tab in Device Manager ,and click Scan for Hardware changes. Step 5. Lastly, restart your computer. 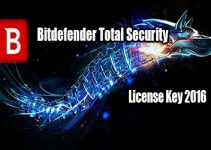 These are four solutions that help you fix “Error code 0x800704cf. The network location cannot be reached“. If you have any other Windows related issues you can check for the solution in my Windows fix section. Thank you reading it.